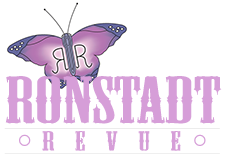 Ronstadt Revue wants to bring you as close as we can to a Linda Ronstadt concert! We touch on all aspects of Linda’s great career, bringing you songs from her country/folk period, her pop rock hits, plus a taste of the Mariachi and big band music she came to love later in her illustrious career. Here is a listing of some of the tunes we perform regularly. …and more being added all the time!